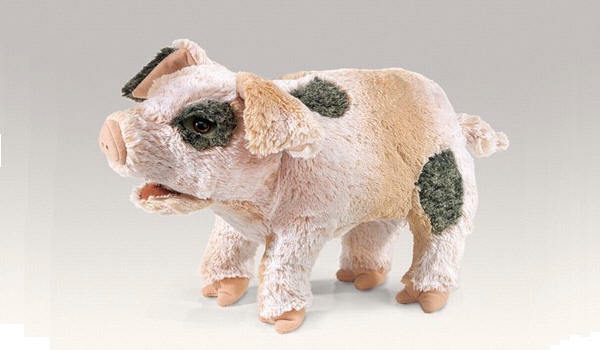 A unique plush creation from Folkmanis Puppets, this stuffed pig comes alive in your hands. An "Grunting" air-bag squeezer gives him that special sound. Does not stand as shown. Lays down with legs forward.